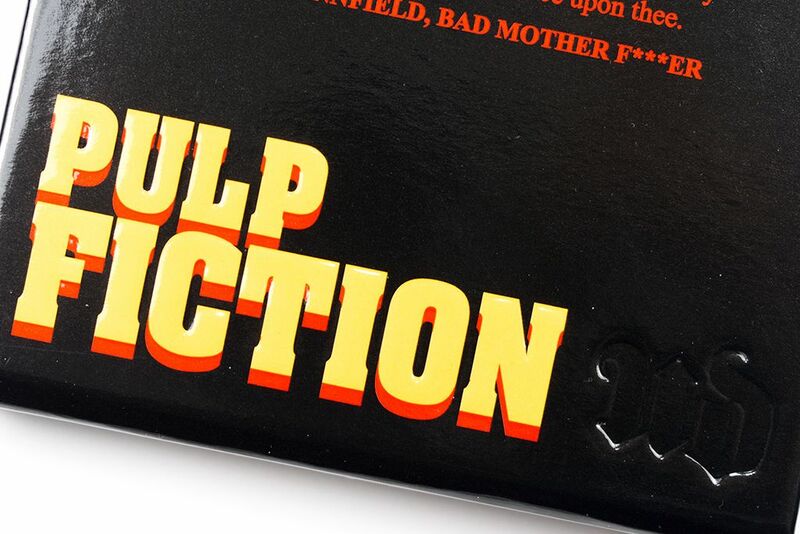 If you haven't seen Pulp Fiction (btw, you should see it), you would at least have seen its theatrical poster featuring Uma Thurman with a fringe bob hair cut with a cigarette in hand. Her character in the movie, Mrs. Mia Wallace was so cool and so bad a$$. 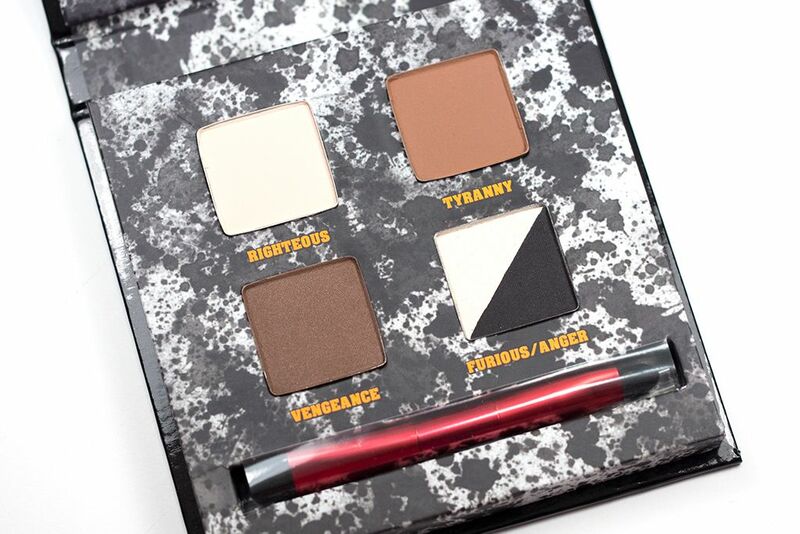 This year marked the 20th anniversary, so Urban Decay has released a whole collection to commemorate this occasion. 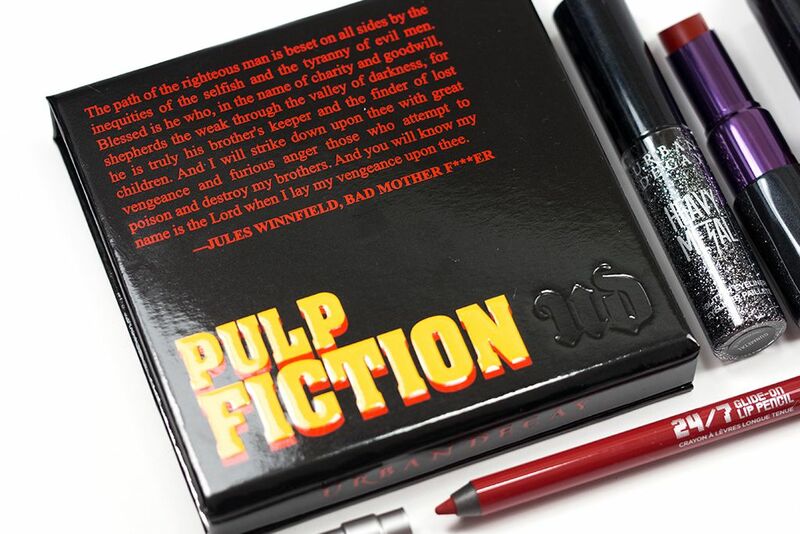 Of course, the entire collection is surrounding Mrs. Mia Wallace, including the Pulp Fiction Palette. Anger: black satin with slight tonal sparkle. The colour selection in this palette is just my cup of tea, because, you know, I love a good neutral palette. However, they are not the most unique colours. 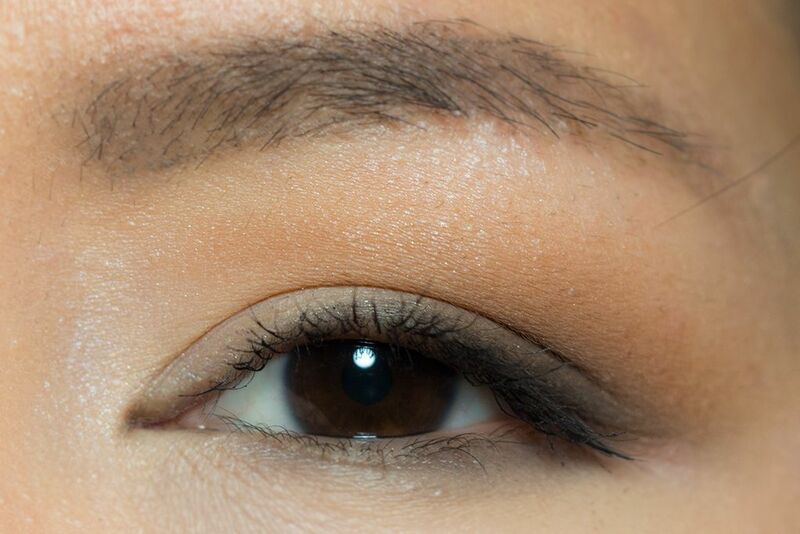 It reminds me of their NAKED Basics Palette, which I own, but warmer. If you already own a lot of neutral eyeshadows, you might be able to find dupes for each of the shades included in this palette. 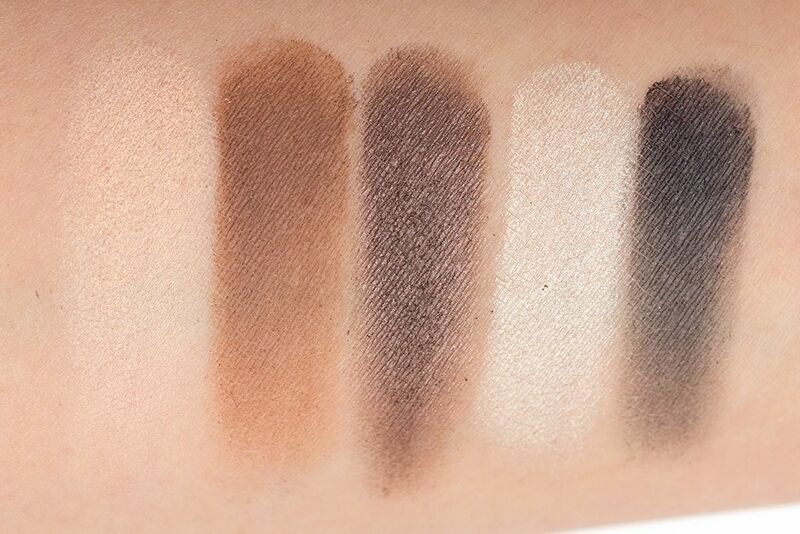 All the shades are buttery and easy to blend. I didn't notice any fall out that bugs me, not even with the black shade. 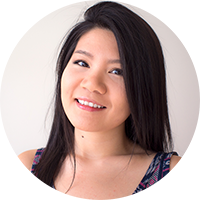 They are not all the same level of pigmentation though, with Righteous being the least pigmented. 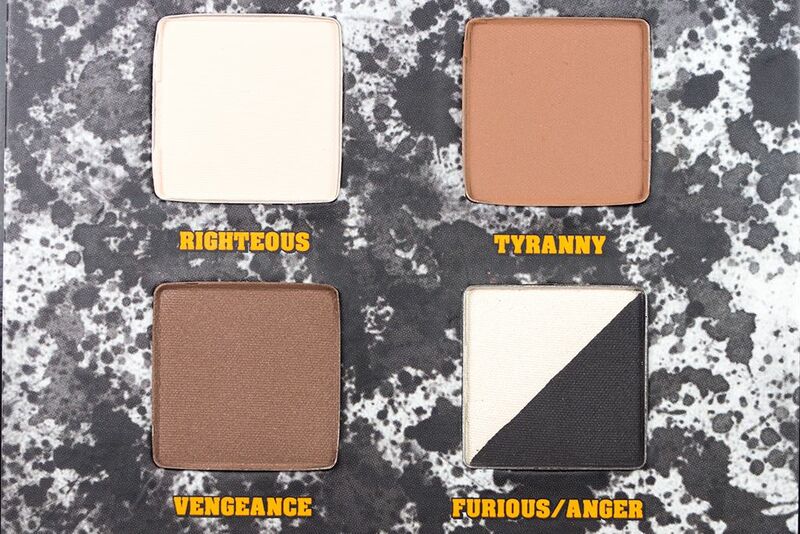 Tyranny and Furious are such gorgeous shadows with great colour payoff (sooo creamy too). Furious is a great white highlight colour, which surprisingly is something that I don't already own. I like the shade Anger because of that touch of sparkle in there. The only thing I'm not a fan of Furious and Anger is that they are placed side by side in the same pan, so eventually there will be overlap. Overall, this is a great warm neutral palette. It has a great selection of eyeshadows that are nicely pigmented and easy to use. I imagine it will be very handy for travel. The only thing though it is unnecessarily big for its content. 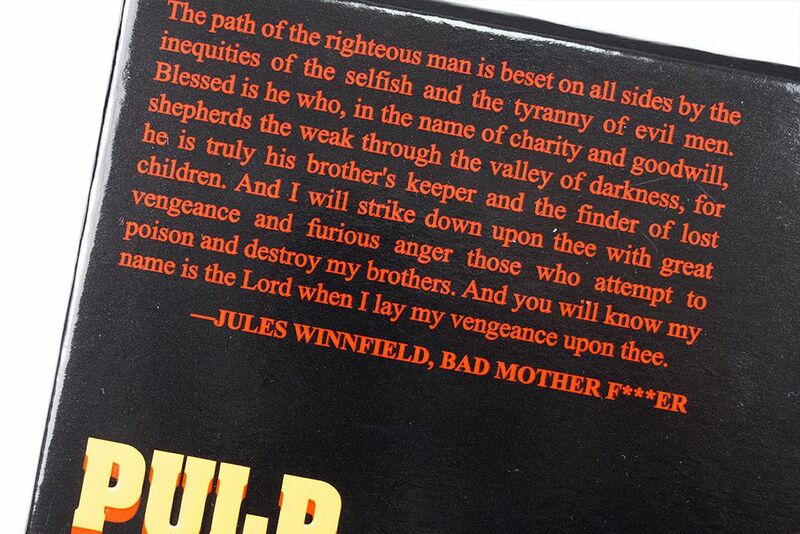 I do appreciate the special design with quotes and references to Pulp Fiction, so it weighs it out for me personally. But I can see the novelty wears out for some people and it becomes bulky to them. 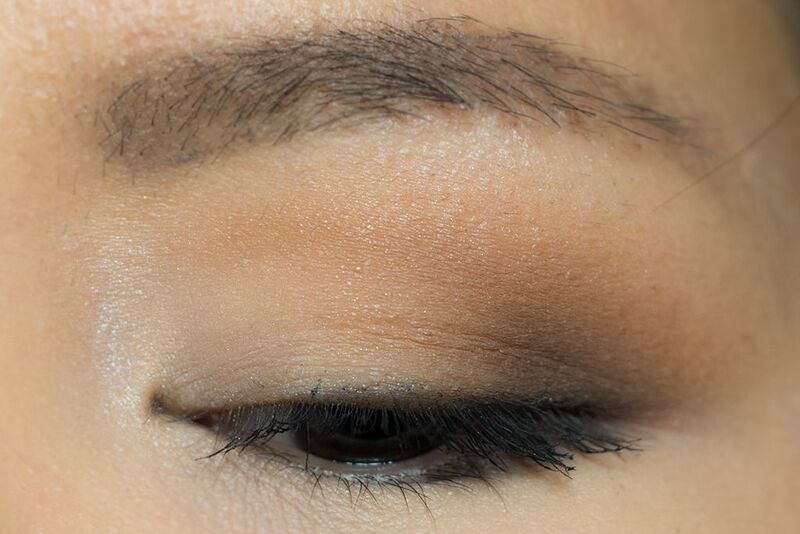 Also, I can probably achieve similar looks with some of the eyeshadows I got. That being said, I really enjoy using the palette and have been using it a ton (it's nice to not have to pick what shades to use sometimes). Like I said in the title, it is not just for bad a$$es, you can take this from day to night, from work to play. Wow I love the colours, they are so practical to use! Whoa! Thanks for the swatches, this is gorgeous!